Chilly winter evenings were made for baking. If you agree (and like to throw on your apron for a bit of a baking session in the kitchen), we have found the one recipe you need to try next. 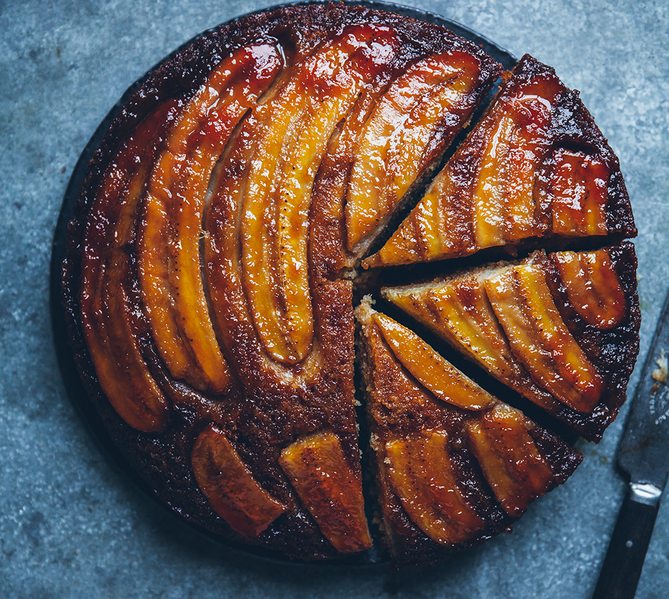 Say hello to caramelized upside-down banana cake. Yeah, we know. Our mouths are watering too. 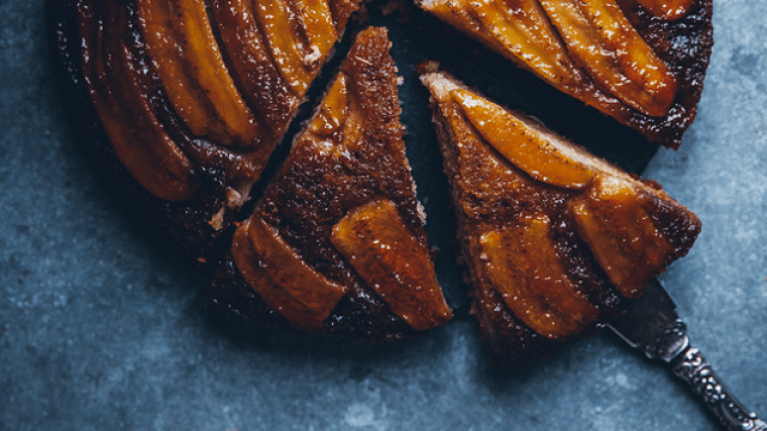 As it turns out, upside-down banana cake recipes are currently having a moment on Pinterest, and just because we love being at the forefront of all things trendy, we have dug out the most delicious sounding one for us all to try. (Just don't blame us when your pre-Christmas diet goes up in flames!). Melt the butter in a small, heavy-bottomed saucepan. Stir in sugar and cook for 2-3 minutes over medium heat until combined and sugar is melted. Don’t worry if the mixture feels gritty, it will disappear once the cake is baked. Spread the caramel over the baking paper in the bottom of the pan. Peel and cut the bananas in half lengthwise and place them cut side down over the caramel.